A bench is one of the most useful and versatile pieces for any area of the home. 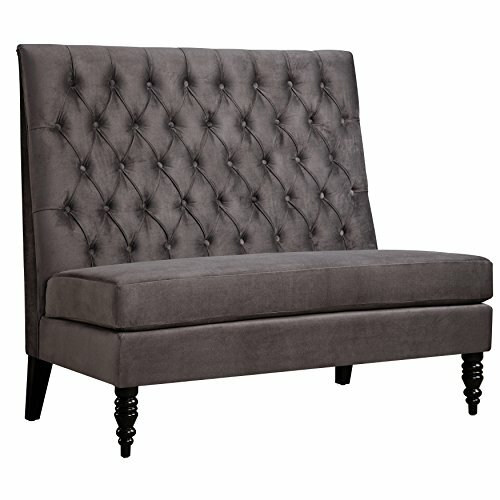 This tufted model is neatly tailored with welted edges, button tufted seat and wood legs, for a style that will blend with almost any interior. It functions beautifully at the foot of a bed for perching while putting on shoes, or as extra seating in any room in the house. A bench is one of the most useful and versatile pieces for any area of the home. This transitional model is neatly tailored with welted edges and antique brass finished nail head trim and wood legs, for a style that will blend with almost any interior. It functions beautifully at the foot of a bed for perching while putting on shoes, or as extra seating in any room in the house. 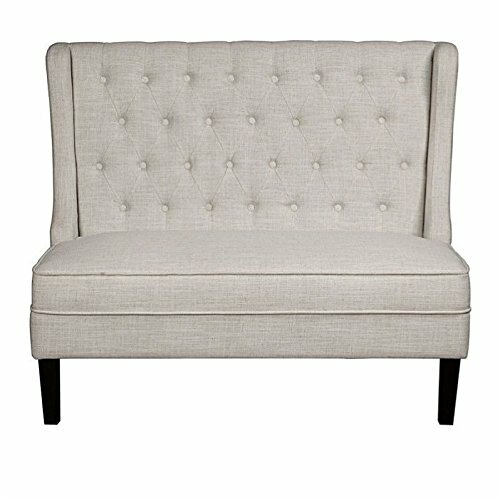 This versatile settee will fit into any interior with its button tufted, wing back welted seat cushion and tapered legs. Put it any place you need extra seating, such as a dining room, an entry or living or family room. A grand scale and high back guarantee this attractive settee will make a bold statement in your home. Note the deep button tufting and folded seam detailing in a subdued skylark-hued velvet upholstery. Its elegant turned front legs and tapered back legs are finished in a sophisticated ebony. For extra seating that does not take up a lot of visual space, a settee is an excellent solution; this one also contributes a lot of style. 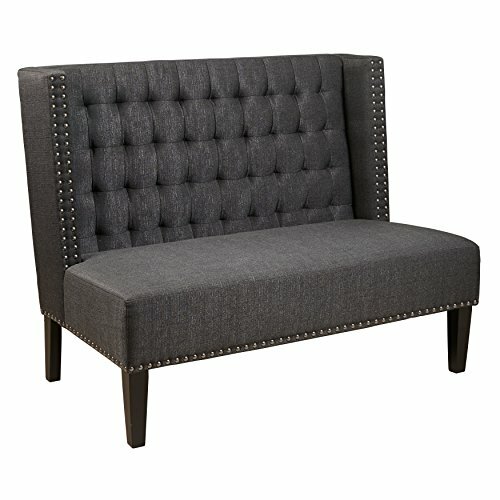 Its sleek lines are the perfect foil for the biscuit tufted, stylized wing back, set off with nickel finished nail head trim and trim tapered legs. 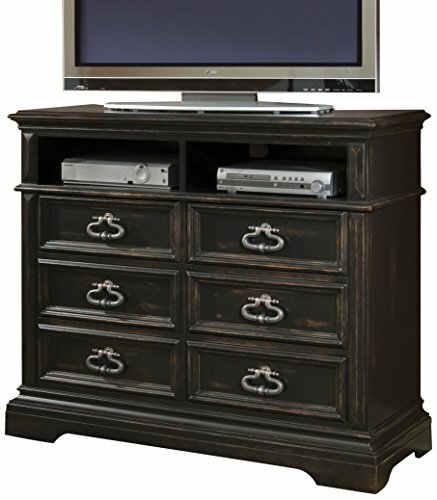 Our handsome TV cabinet will work in any room. The chest is crafted in birch veneers and solid hardwoods. An aged Brookfield finish gives the appearance of a vintage country collectible. There six drawers and two open compartments for electrical components. 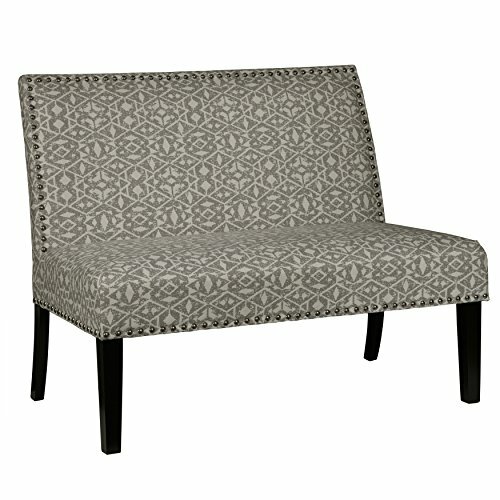 Clean lines and fun fabric combine in this versatile settee, creating a staple fixture in any room in the home. The bold, trial print fabric, in a light grey and white color, offers a lively addition to a space. Large burnished brass nail heads set off this settee with just a touch of sparkle. The gently sloped back and padded seat offer a comfortable perch at a dining table, in an Entry way, bedroom or living room. Home Meridian international warrants this furniture to be free from material manufacturing defects for one year from the date of purchase. Under this warranty, the sole liability of home Meridian international is limited to repair parts. This limited warranty provides coverage solely to the original retail purchaser and does not apply to rented, business, commercial, institutional, or other non-residential uses. All warranties, whether express or implied, cover only normal household usage. No warranty, express or implied, applies to any condition resulting from misuse, abuse, delivery or transportation damage, nor -any condition resulting from incorrect or inadequate maintenance, cleaning or care. Dated proof of purchase is required for all warranty claims. 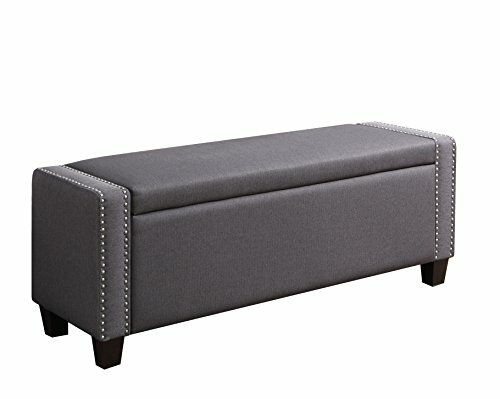 Beauty and function combine in this upholstered storage bench adding up to a stylish piece that is more than it appears. A track border is outlined with nickel nail head trim and the gas lift hinged top opens to reveal a spacious storage area. Perfect for the foot of a bed, entry area or as a coffee table ottoman in the family room. Everyone wants a TV cabinet with lots of storage space and some people want high style as well. We have designed both into our media chest. 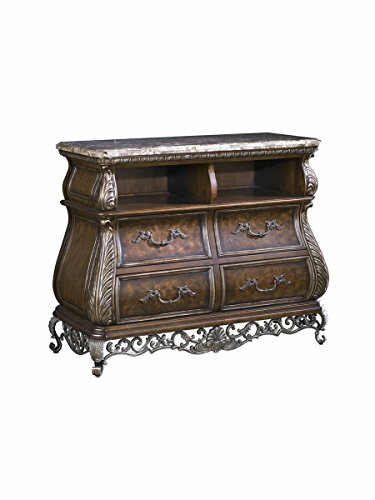 This traditional European bombe chest is built of fine mappa burl and birch veneers over hardwood solids. It is fully embellished with decorative accents. The Brikhaven finish is burnished to resemble an aged antique. There are four deep drawers and two open compartments for electrical components.